A little PSA before you meet Jen: If you are in town this weekend we would LOVE (can't stress that enough) to see you at our sew-in on Sunday afternoon. We will be at the Cambridge Quilt Shop, 95 Blanchard Road in Cambridge. If enough of you come, we should be able to finish up the top this weekend! If too few people show, we'll probably have to do another sew in... So please, if you have even an hour to spare, come and hang out with us! Bring your sewing machine and cutting mats/rotary cutters. Just do one square! There may even be ghoulish treats. If you've been to one of our previous sew ins or have been following our progress on Instagram, you've seen a hint of Jen McPhilimy's aesthetic and design talent. 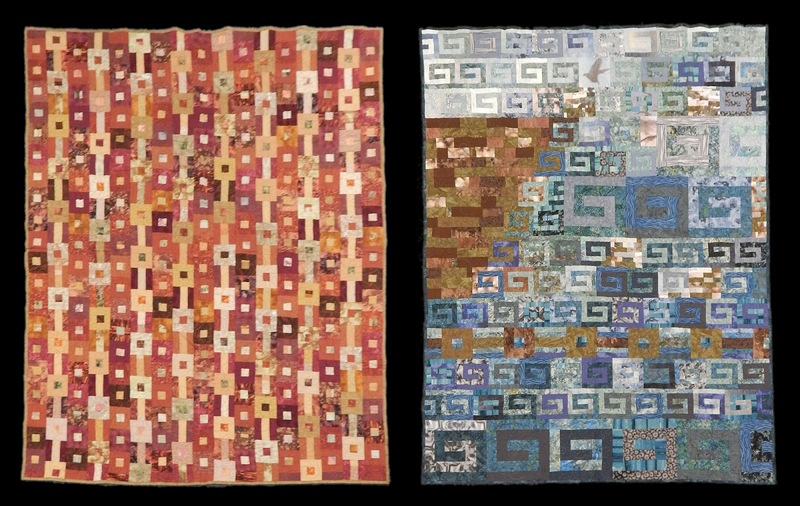 Jen won our 'Design Our QuiltCon Quilt' contest a few months ago, and it's about time we meet the woman behind it all. 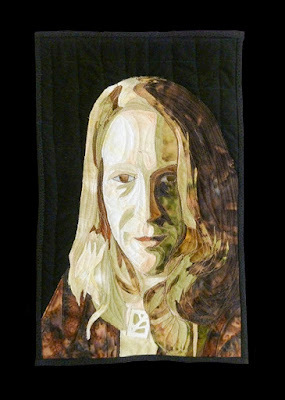 what else are you supposed to do with a self portrait? Hang it over your bed? Creepy. Mostly I listen to NPR when I’m quilting. Oh! and I’m secretly a sucker for a good musical. Soundtracks to musicals are great to quilt to since there’s variety across the songs and a narrative thread to follow. I’m pretty good at eyeballing things. That’s super handy. 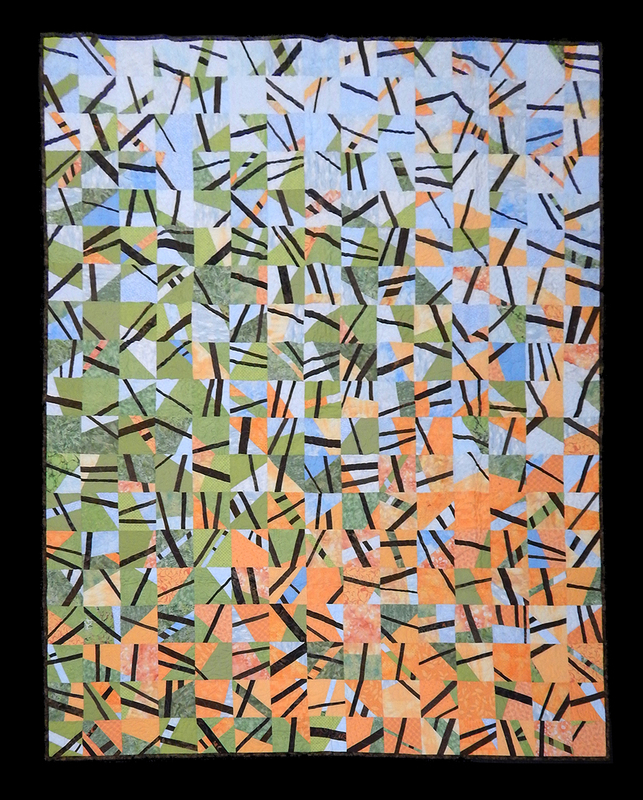 This quilt was started in a workshop with Joe Cunningham. I really should do more machine quilting of my own. No. I studied graphic design in college and have worked in that field for over 20 years. Today, I am part of a startup software company called Shoobx where I’m the head of product and user experience. 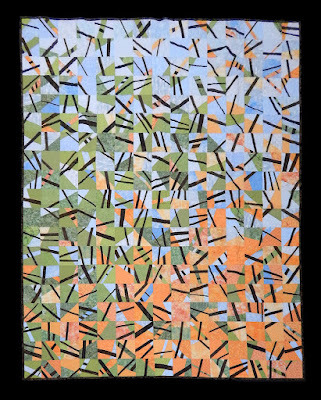 This quilt was hanging on the wall at Gather Here this summer! When our half sister graduated from high school, my sister and I jointly made a quilt for her to take to college. We collaborated on the design and mailed the pieces back and forth between Boston and Chicago. That’s the sentimental fave, but I don’t have a picture. 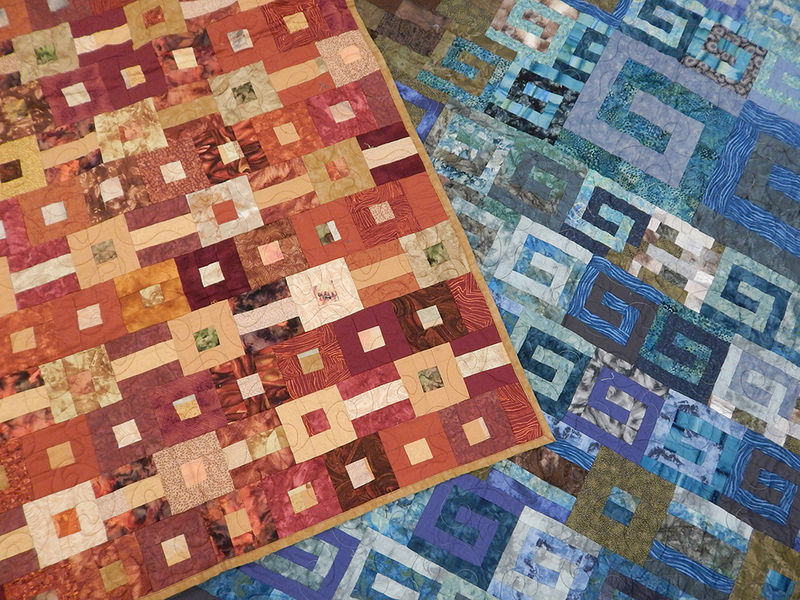 How/When did you start quilting/sewing? 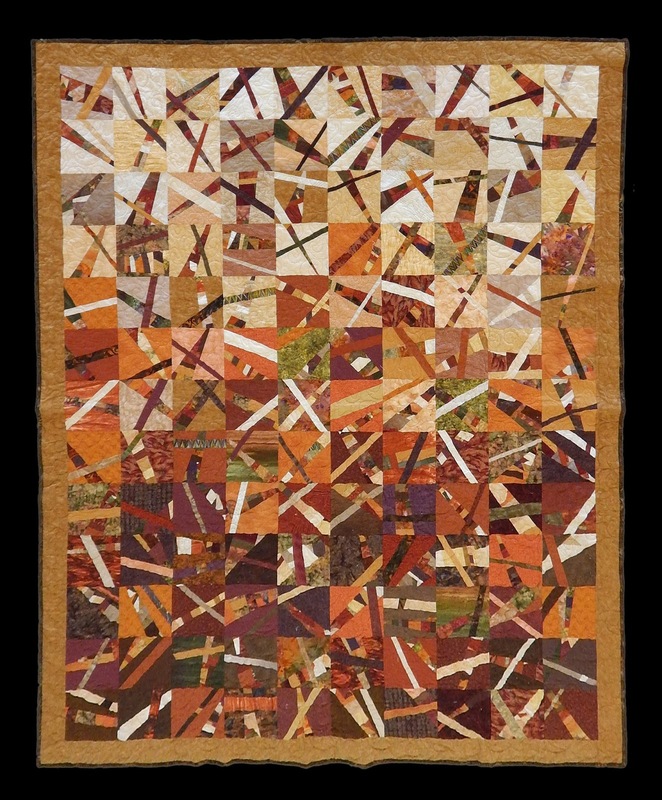 I sewed as a kid and even worked in a fabric store one summer during college, but I made my first quilt in 2004. My family decided we should only exchange handmade gifts that year (and we’ve been doing that ever since), and I made a queen size quilt for my mom. 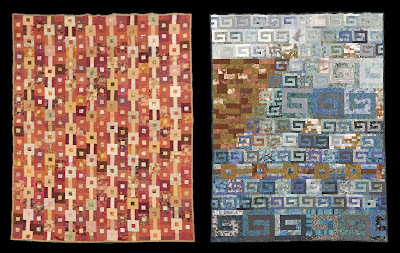 Two quilts in a series inspired by Greek myths, the stories of Persphone and the Sirens. I worked in some photos of pomegranates and bird wings. Designing. Definitely designing. It’s a little puzzle that you turn around in the back of your brain until you have an idea that might possibly be worthy of the time investment it will take to make. 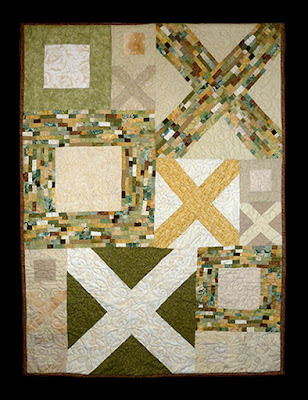 A baby quilt I call Hugs and Kisses. Step away. 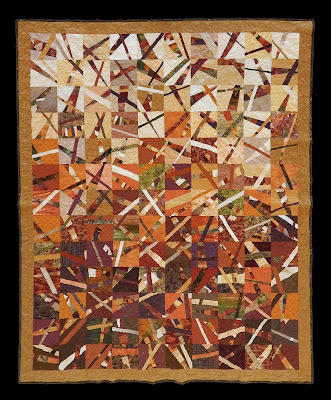 Sometimes you just have to back away from a troublemaker quilt for a bit. Then look at it in a new way—next to something else, upside down, from across the room. 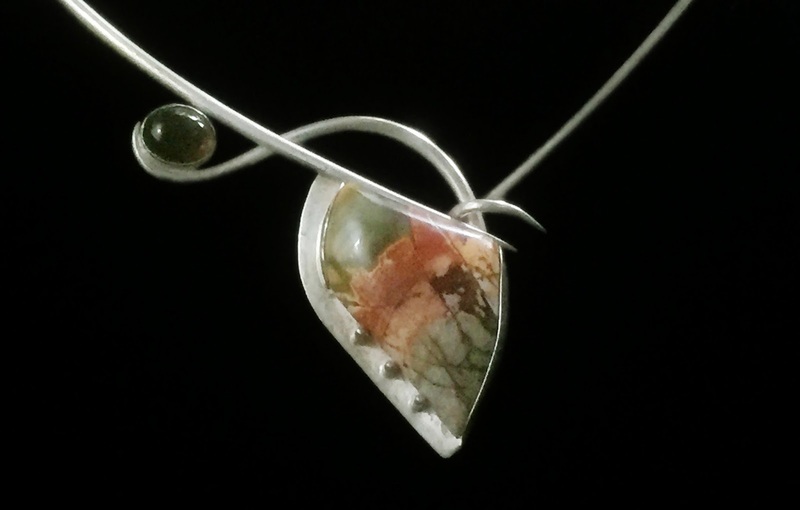 I also do some silversmithing. You get to play with metal and fire, which is hard to do in quilting. 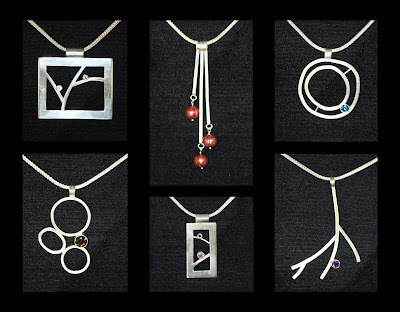 Several of the sterling silver pendants I make. 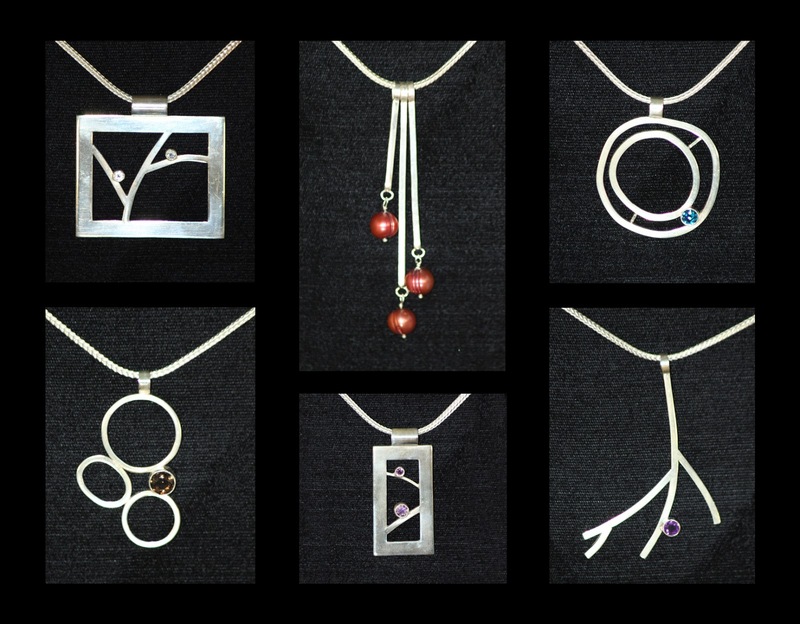 Another example of my jewelry making. This is a neckwire with picasso jasper and smokey quartz stones. @jmcphilimy for Twitter and Instagram. You can always find me at shoobx.com. I’m happy to have found CMQG.